Training class, hotel, airport transportation, lunch and one dinner are covered. Course Description: This seminar will cover the application, installation, and service of the Vitodens 100 and 200 series including hands-on training in the live fire lab. You will also learn options for modifying existing systems to get the best efficiency possible when you upgrade to a Vitodens 100 or 200 condensing boiler. Pumps, delta T’s, primary secondary piping designs, and venting will all be covered. 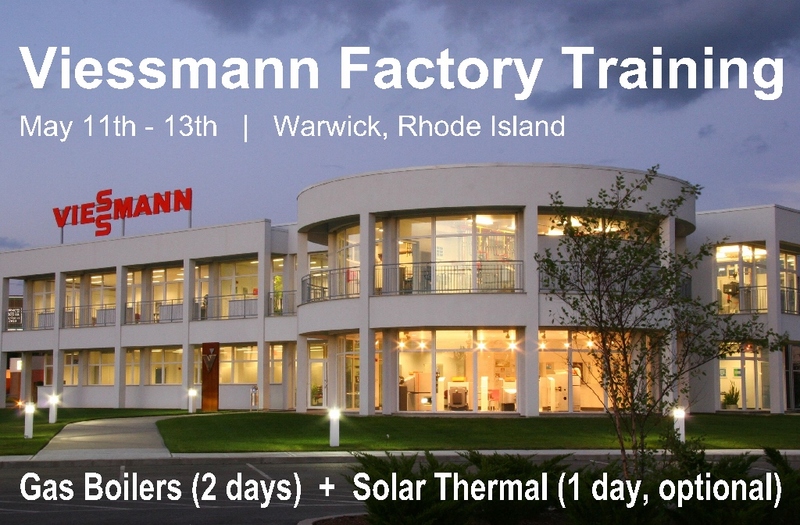 Course Description: This seminar will cover the do’s and don’ts of system design and installation for the Viessmann Solar Thermal product line. At the completion of this seminar you will be equipped to sell and install residential and small commercial Viessmann Solar Thermal Systems.